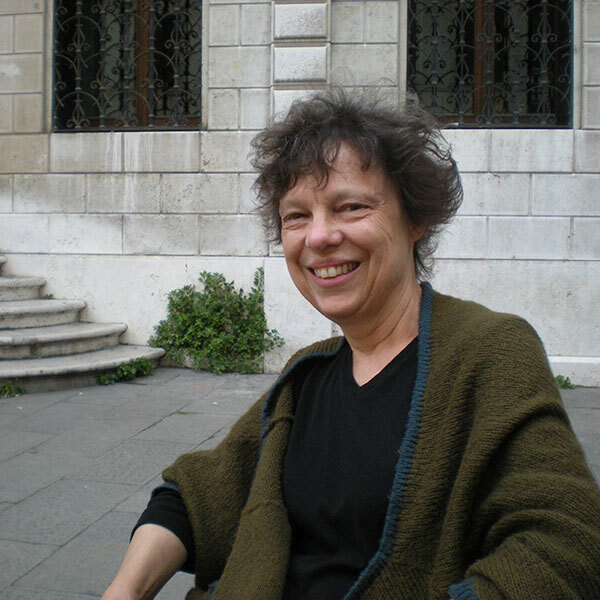 Tricia Lootens, (Ph.D., Indiana University, 1988), Associate Professor and Josiah Meigs Distinguished Teaching Professor, works in nineteenth-century poetry and feminist criticism. The author of “Hemans and Home: Romanticism, Victorianism, and the Domestication of National Identity” (PMLA1994; rpt 1995, 1999), Lootens is currently completing a book-length study of national sentimentality, Second Wave feminist criticism, and the “poetess tradition.” In 1996, she published Lost Saints: Silence, Gender, and Victorian Literary Canonization (University Press of Virginia), which was awarded the University of Georgia’s Creative Research medal in 2000. More recent writing has focused on Victorian patriotic poetry (in the Cambridge Companion to Victorian Poetry, 2000) and on transatlantic connections among female political poets (in Women’s Poetry, Late Romantic to Late Victorian, 1999). Her essay on Letitia Elizabeth Landon, in Romanticism and Women Poets (1999), won the Keats-Shelley Association of America Award. Although much of Lootens’ work links the study of Victorian poetry to Romantic Period Studies or nineteenth-century American Studies, she has also published on Victorian appropriations of Shakespeare, as well as on gothic modes of social criticism. The Political Poetess: Victorian Femininity, Race, and the Legacy of Separate Spheres. Princeton University Press, 2017. Lost Saints: Silence, Gender, and Victorian Literary Canonization. University Press of Virginia, 1996. “The Locations and Dislocations of Toru and Aru Dutt.” In A History of Indian Poetry in English, ed. Rosinka Chaudhuri. Cambridge University Press, 2016. Rudyard Kipling, Kim. A Longman Cultural Edition. Co-edited with Paula M. Krebs. Longman, 2011. “States of Exile.” In The Traffic in Poems: Nineteenth-Century Poetry and Transatlantic Exchange. Ed. Meredith McGill. Rutgers University Press, 2008. “Publishing and Reading ‘Our EBB’: Editorial Pedagogy, Contemporary Culture, and ‘The Runaway Slave at Pilgrim’s Point.’” Victorian Poetry 44 (2006). “Bengal, Britain, France: The Locations and Translations of Toru Dutt.” Victorian Literature and Culture 34 (2006). “New Criticism and New Classrooms: Teaching Felicia Hemans.” European Romantic Review 17 (2006). “Between Treasuries and the Web: Compendious Victorian Poetry Anthologies in Transition.” Victorian Studies 47 (Summer 2005). “Anna Jameson, Englishness, and the ‘Triste Plaisir’ of Italy.” 2003 Special Issue, Forum for Modern Language Studies, ed. Alison Chapman and Jane Stabler. “Victorian Poetry and Patriotism.” In The Cambridge Companion to Victorian Poetry. Ed. Joseph Bristow. Cambridge, 2000. “Receiving the Legend, Rethinking the Writer: Letitia Landon and the Poetess Tradition.” In Romanticism and Women Poets: Opening the Doors of Reception, edited by Harriet Kramer Linkin and Stephen C. Behrendt. University Press of Kentucky, 1999. “Hemans and Her American Heirs.” In Women’s Poetry, Late Romantic to Late Victorian: Gender and Genre, 1830-1900, ed. Isobel Armstrong and Virginia Blain. St. Martins, 1999. “Hemans and Home: Victorianism, Feminine ‘Internal Enemies,’ and the Domestication of National Identity.” In Victorian Women Poets: A Critical Reader, ed. Angela Leighton. Oxford: Blackwell, 1996. “Hemans and Home: Victorianism, Feminine ‘Internal Enemies,’ and the Domestication of National Identity.” PMLA 102 (March 1994).